The best shopping centers, malls, and boutiques in Central Florida are in Orlando. Our shops offer a wide variety of clothing, wares, and deals from within the upscale malls, unique boutiques, to the mega savings meccas at the outlet malls. 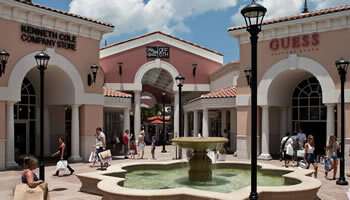 Second only to Orlando’s world-famous theme parks, Orlando’s shopping scene attracts many visitors. Across the street on International Drive is a shopping and entertainment complex unlike any other, the Pointe Orlando. Here you’ll find boutique and brand-name stores, such as Charming Charlie, Hollister, Tommy Hilfiger, and Victoria’s Secret. You’ll also find a bevy of live entertainment, restaurants, a bowling alley at Main Event Entertainment, and a Regal Movie Theater complex with an IMAX screen. A bargain shopper’s dream, the Orlando International Premium Outlets on International Drive has 175 stores filled with deeply discounted high-end fashion, jewelry, gifts, perfumes, luggage, and so much more. Inside the largest outlet mall in the southeast you’ll find stores featuring brand names such as Coach, Cole Haan, Guess, Lacoste, Nike, and Polo Ralph Lauren. Orlando Vineland Premium Outlets, located in Lake Buena Vista, is similar to its cousin off of International Drive. This outlet contains a collection of 150 outlet stores featuring deeply discounted high profile fashion brand names such as Brooks Brothers, Burberry, Coach, Cole Haan, Diesel, Ecco, DKNY, Giorgio Armani, Hugo Boss, Joe’s Jeans, Salvatore Ferragamo, Tod’s, Zenga Outlet Store and more. Fashion that’s right off the catwalk is sold at the Mall at Millenia. Serious shoppers will find a bevy of haute fashion stores such as Anthropologie, Armani Exchange, BOSS, Burberry, Chanel, Gucci, Jimmy Choo, Tory Burch, Bloomingdale’s, Macy’s, Versace, and Neiman Marcus. The Orangerie Cafes Food Court is full of quick dining options. Restaurant options include California Pizza Kitchen, Johnny Rockets, Capitol Grille, and The Cheesecake Factory. You’ll not want to pass by the opportunity to shop among the luxury stores at the Mall at Millenia while in Orlando. You may even spot a celebrity during your visit. With more than 260 stores there’s something for everyone at the Florida Mall. Inside the 1.9 million square foot mall you’ll find Dillard’s, JCPenney, Macy’s, American Girl, American Eagle Outfitters, Sears, M&M World, Bare Minerals, Build-A-Bear Workshop, Clarks England, Hollister Co., MAC, Apple, Sephora, Microsoft, and more specialty stores. Shopping and walking this mall will build an appetite, which you can satisfy within one of the thirty restaurants and cafes like Buca di Beppo, Spoleto, and Carlos Bakery. Experience the outstanding shopping experience about which visitors and shoppers are raving. May 2014 Lake Buena Vista Factory Stores received TripAdvisor’s Certificate of Excellence for maintaining an overall rating of at least four out of five amongst visitors’ reviews. 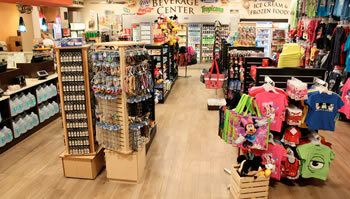 The stores here offer factory direct, premium quality merchandise at savings of 25% – 75%. Outlet favorites include: Aeropostale, Carter’s, Converse Shoes, Roz and Ali, Eddie Bauer Outlet, Fossil, Gap Outlet, Levi’s, Nike Factory Store, Old Navy, Reebok, Timberland, Tommy Hilfiger, Van Heusen and Izod Golf, Wilson’s Leather Outlet, and so much more. Stop by the Center Food Court or World of Coffee for specialty coffees from Europe, Mediterranean midday meals, and delicate desserts.